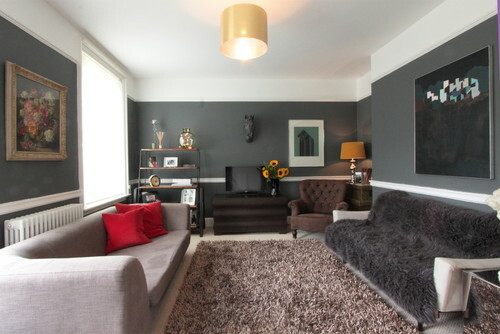 Time to add some definition to your rooms! 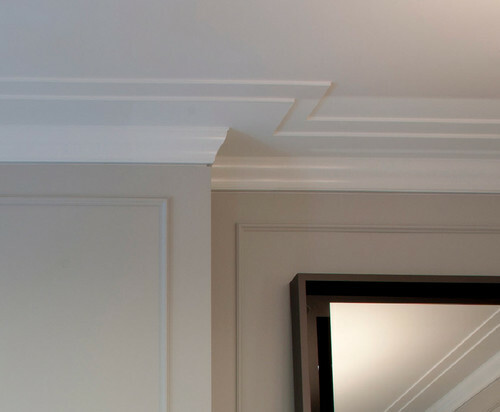 Moldings (or “mouldings” if you want to be pretentious) may seem unnecessary, but they add depth and interest to rooms that you wouldn’t have thought were missing anything. 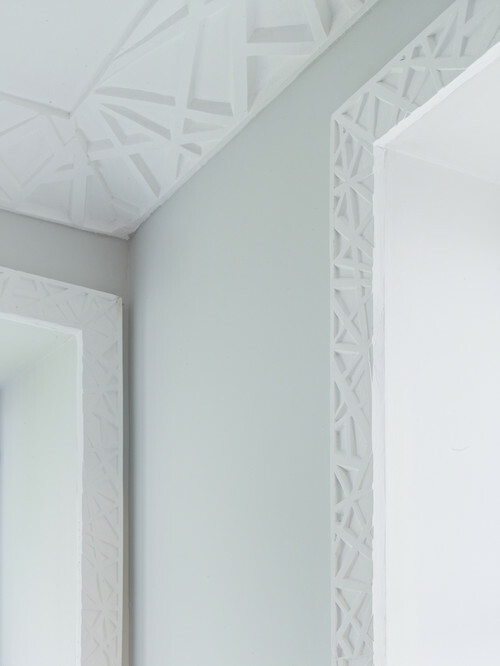 They’re not absolutely critical, but moldings enhance and beautify a room in a subtle yet elegant way; once you use them, you’ll see how unadorned non-moldinged rooms can be! Designed to prevent chair backs from hitting and damaging the wall, chair rails – the trim typically affixed horizontally across the approximate middle of the wall – can also make a design statement. If your wall covering or paint is dark or heavily patterned, a white chair rail can lighten the effect; it can also serve as a dividing point between two colors or patterns. 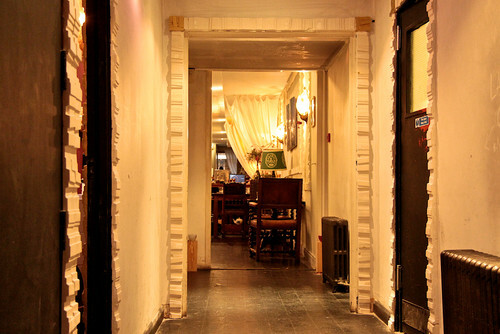 Picture moldings look like picture frames – large rectangles or other shapes on the wall. Like chair rails, they effectively break up a monotonous or dramatic wall; if you have a wallpaper or special paint effect that’s too expensive for the full wall, try papering (or painting) inside picture moldings only. 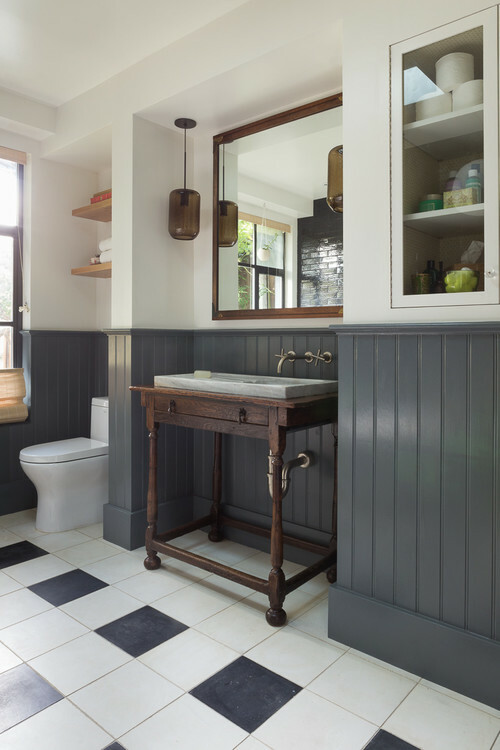 While it’s not strictly molding, wainscoting – stained or painted wooden paneling that lines the lower part of the walls of a room (or, occasionally, higher) – falls into the same trim category. It was originally designed to protect walls from nicks and scratches but has evolved to serve as a design statement in different formats. 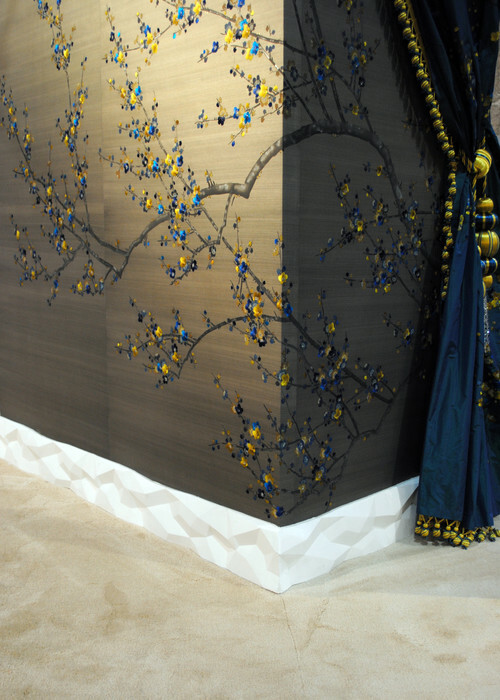 It’s a cost-effective choice if you want to use pricey wallpaper – you still get the effect but only have to paper half of the wall. 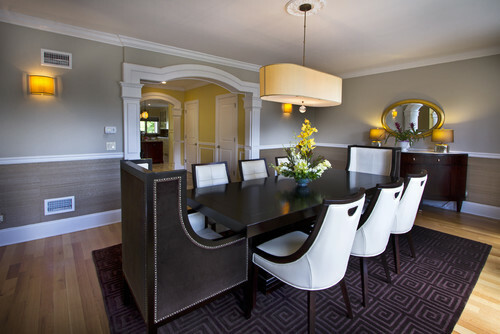 Dining Room by Atmosphere Interior Design Inc. 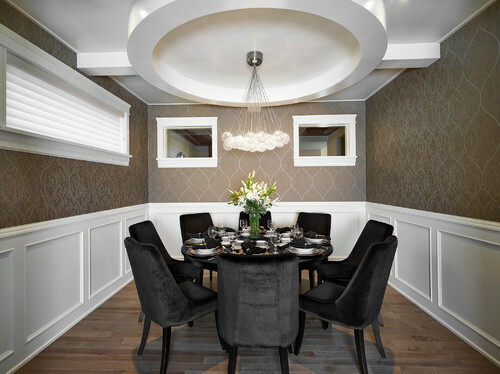 Dining Room by Infiniti® Master Builder Inc.
Crown molding is applied at the top of a wall, where it meets the ceiling. It’s available in loads of shapes, sizes, and designs to complement any decor, and often continues onto the ceiling itself for added visual interest. 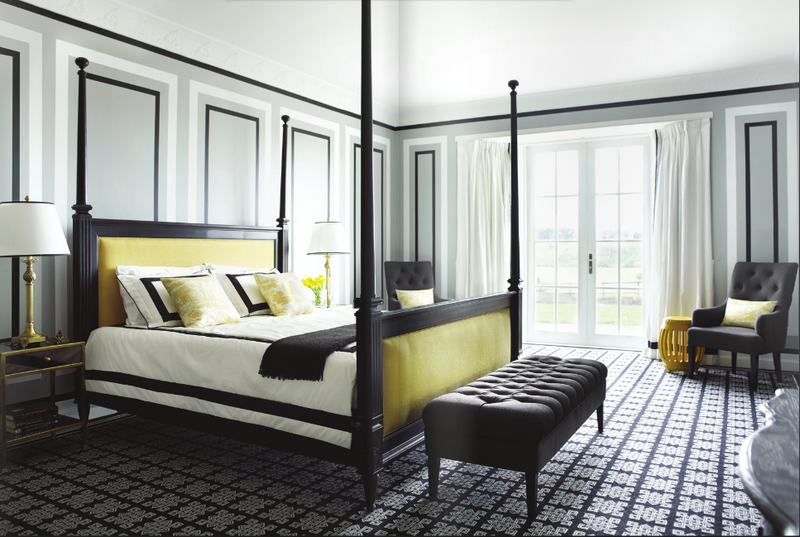 Choose moldings in proportion with the room in general. If your dining room is low-ceilinged or small, skip heavy, ornate crown moldings; if your ceiling is over 10’ high, allocate 1” of crown molding per foot (this rule is not applicable to rooms with lower ceilings). 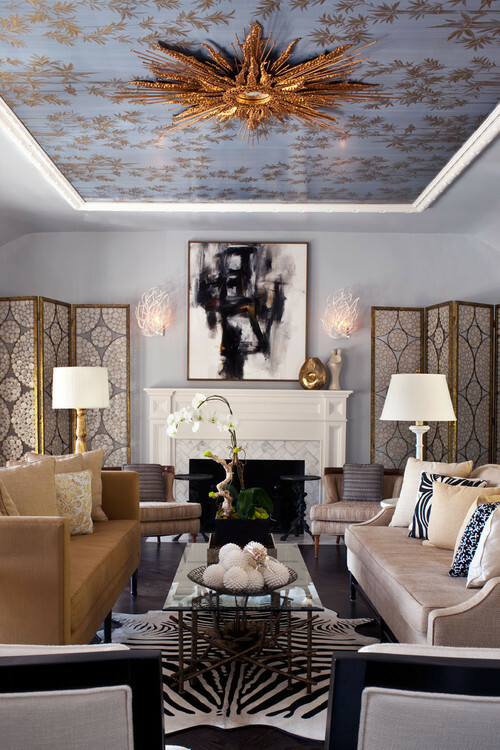 Hall by Carson Poetzl, Inc.
A good alternative to the accent wall is what’s known as the “fifth wall”: the ceiling. 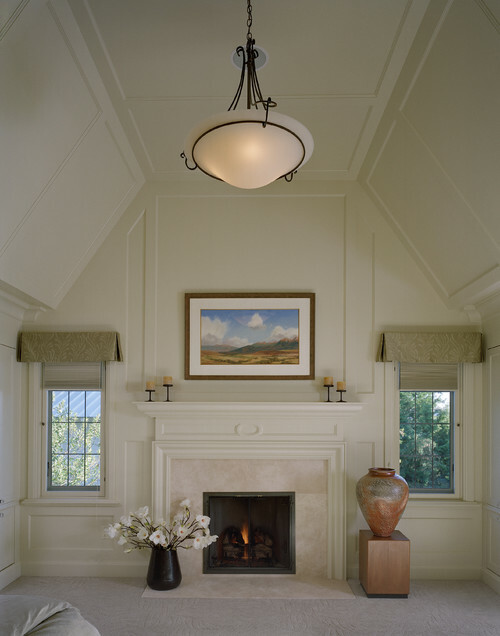 Feature ceilings are elegantly eye-catching and draw the eye upward, giving an illusion of a larger room, and can be accomplished by affixing moldings to the ceiling. 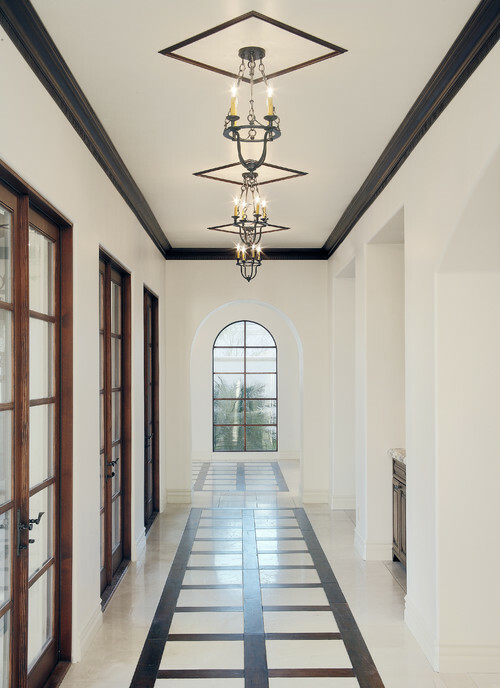 A tray, coffered, or otherwise decorative ceiling offers unlimited options in style, color, and lighting. If you’re building a new home (or replacing the dining room ceiling), framing out the ceiling is a more cost-effective option than applied moldings. If you do paint or paper the ceiling, consider painting the trim the same color as the walls to make the ceiling stand out even more. If you’re afraid of color but really want to try it out, break up a dramatic shade with white semi-gloss trim, chair rails, picture moldings, and/or wainscoting. While crown molding and baseboards don’t need to be the same, they should be relatively balanced; a short, plain baseboard will look puny alongside a thick, elaborate chair rail. The same goes for furniture: if your chairs and table are sleek and minimalist, pairing them with an ornamental light fixture medallion (or any other trim) is not recommended. If you want moldings but it’s just not financially (or architecturally) feasible, consider a do-it-yourself approach (or hire a professional, if possible). 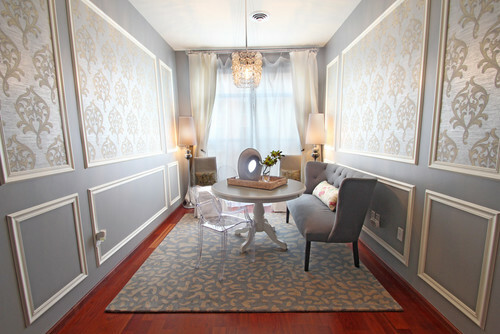 If you have a steady hand and an eye for design, try stenciling on “moldings” or “trim” around doors, windows, and walls; paint a design with a wall stencil; or (for the less crafty among us) try out a decorative decal, even available in realistic “molding” shapes! 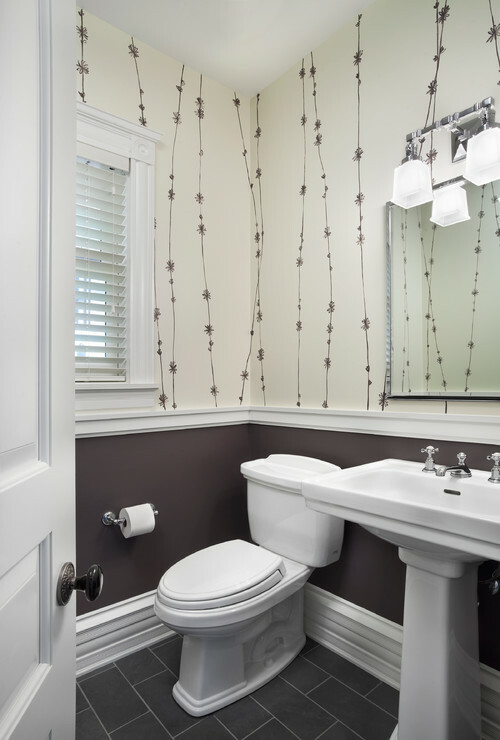 Get creative with your molding; it’s easier than ever with the availability of out-of-the-box trim. Now get out there and complete that room that you didn’t know needed completing!